A school with non-traditioinal classrooms where the Apicius students and faculty develop seasonal menus and share them with the general public. The J School campus press creates books on gastronomy, design, travel, and lifestyle in collaboration with FUA students and faculty. We are very excited to share with you the product of a semester-long collaboration between FUA students, instructors, and staff. Our Spring publication takes inspiration from the annual FUA conference hosted by Apicius International School of Hospitality. This year’s conference title, “Teaching Traditions: Health, Wellness and Non-Hotel Lodging Trends in the Hospitality Industry,” invited conference goers to think about (and most importantly, taste) the many ways in which the culinary and hospitality industries influence bigger ideas of health and wellness within society. 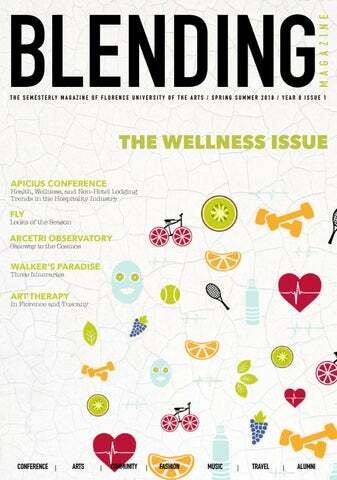 Blending Magazine takes its cue from the concept of “Wellness” and explores how changing wellness trends, as well as ideas about what it truly means to be “healthy,” intertwine themselves into many different elements of daily life. The writers of this issue examine both the expanded idea of wellness relating to its place in society, and, on a smaller scale, how individuals weave examples of wellness practices into their daily lives. The simple act of walking is featured, as our student writers explore how the navigating Florence by foot offers an added purpose other than getting from A to B. In the Community section, other writers ask the question of how mass-tourism and globalization influence the daily lives of the Florentine Community, in ways both good and bad. The Fashion section ponders the connection between style and the world of wellness, featuring not only FLY’s “Look of the Season” but also a piece that examines Florence’s Gucci Garden and the revolutionary way in which it connects fashion with memory. Wellness can permeate our lives in different ways both big and small. Amongst the sometimes overwhelming stresses of daily life, taking pleasure in even the short moments of self-care contributes to a healthy and balanced lifestyle. As the spring semester draws to an end, our student writers are confronted with the desire to appreciate every moment, big or small. HEALTH + WELLNESS AND NON-HOTEL LODGING TRENDS IN THE HOSPITALITY INDUSTRY The 4th Annual Apicius Conference took place March 17th 2018 at the FUA Building Palazzo Bombicci Guicciardini Strozzi in Florence, and focused on Health, Wellness and Non-Hotel Lodging Trends in the Hospitality Industry, which redesigned the hospitality proposal in line with international market demand. The objective of the conference was to analyze current and future trends as well as, above all, to explore how their influence will contribute to a holistic approach to the services offered by hospitality, and how these new developments are provided and perceived, both by the industry and by consumers. The constant growth and innovation of health and wellness services, in particular spas, shows just how this field is reaching the maximum attention by an increasingly segmented tourism, with very optimistic forecasts in terms of growth and increase of new professions linked to the renewed needs for the services offered. Today, the interest in personal well-being during trips, varying in length regarding both time and distance from home, has reached surprising levels. Wellness tourism is the intersection of a new lifestyle within the global industry of hospitality, nutrition and well-being in general, which is closely following its evolution. At the same time, wellness tourism continues to support the preservation of traditional cultures and natural resources, stimulates local entrepreneurship and shares common elements with other niche segments such as adventure tourism, food and wine tourism, and ecotourism. On the subject of non-hotel lodging, the goal of the conference was to analyze how the increase in demand for non-hotel accommodation shows the consumer's demand for new experiences, which leave the classic hotel room, arriving in new unconventional accommodation facilities. Guests who presented on stage came from Italian institutions and international universities affiliated to FUA, such as the Rosen College of Hospitality Management at the University of Central Florida, Johnson County Community College in Kansas, and professionals in both the B&B sector and the hotel industry, spas and Italian farms, as well as many producers and experts in nutrition and cuisine. The conference was presented by Umberto Gori, FUA Conference Coordinator and opened by Lapo Baroncelli, from Confindustria Toscana, the most important association of industrials in Tuscany Region. He remarked how important it is to study alternative elements of the tourism industry. The Keynote Speaker, Kevin Murphy from the University of Central Florida, opened the conference with a paper on The Future of Hospitality Guest Service, affirming how important the healthcare sectors of adult development are, regarding healthcare management, hospitals, and healthcare facilities. His speech was followed by a presentation on his and Manuel Rivera’s book, The Value of Study Abroad Externships in Hospitality Education: Experiential Learning. When we think about health and wellness, it is impossible to forget the importance of food. In particular, Aaron Prater of Johnson County Community College addressed this topic with An Exploration of the Rise of Local Food and Cuisine in the Modern United States, where he described the current state of American cuisine and “the essence of what America tastes like [...] and the answer isn’t hamburgers and coke.” Food was a fundamental topic at the conference: the Apicius Culinary Arts and the Bakery & Pastry students presented a tasting session with a varied menu, made with the raw products of six featured producers and friends: FRANTOIO PRUNETI, that produces extra virgin olive oil, pasta from PASTA ARTIGIANALE FABBRI, rice from RISO ACQUERELLO, balsamic vinegar from ACETAIA MALPIGHI, cheese from FATTORIA CORZANO E PATERNO, and meat from SAVIGNI. Producers were present with Apicius students during the tasting panel. Riso Acquerello brand was presented by the owner, Piero Rondolino, who attended as speaker, informing the audience of the natural characteristics of rice and its significance for the Italian experience as well as for health. Alessandra Andreani and Gloria Mottini, Luxury Accommodation Professionals, made a speech on New Tourism Moods and Virtuous Synergies in Hospitality Experiences, speaking about how important it is, especially for a Non-Lodging experience, “to take a break from mass tourism, and the necessity of contact with nature and new people, living healthy, feeling at home everywhere, and above all, having unique stories to tell when you head back home.” Andrea Adams, FUA faculty, from The Student Hotel, concluded the second panel, illustrating the New Trends in Alternative Accommodations and the Rise of Shared Experiences. During her speech, she highlighted the new desire of guests “to interact with each other, to participate in events, design an experience, or have a space for working or cooking their own meals, which in turn, might encourage them to increase their length of stay at the hotel.” This talk explored the innovative trends in co-living and non-traditional accommodation. The last panel, “Understanding Quality,” was a blind tasting experience of 12 different high quality Italian wines, conducted by the students of the Viticulture and Enology: An Educational Wine Tour II course. The jury, comprised of students and professors, was asked to analyze the quality of 12 different types of wine according to the standards set forth by A.I.S., the Italian Sommelier Association, in a blind tasting. We, as photographers, have to spend time getting familiar with our equipment, engaging with our subjects, and finally, creating a photograph which will speak for itself. wonderful moment and a tool for communication, but also an art piece to be made. Ansel Adams once said, “You don’t take a photograph, you make it.” We, as photographers, have to spend time getting familiar with our equipment, engaging with our subjects, and finally, creating a photograph which will speak for itself. Digital photography can be viewed as a method of modern painting. The Greek word from which photography is derived means “drawing lights.” Photography is considered an art that interacts and engages viewers. Similar to music, photography may seem to be composed with complicated details, but it ends up with balance and simple melody. Regardless of whether it is abstract or whether it is clear and obvious, photography’s breadth is wide. There is a style for everyone. the photographers who best understands the craft. meaning of the visual composition of an image can differ from photographer to photographer. Photographs from the same photographer can differ in feeling; however, consistency is key. Good photographers are able to control the frame and tell a story by focusing the subject and composition. Photography allows a connection between photographer’s creativity and viewer’s imagination. We as humans are visual creatives, unconsciously and consciously inf luenced by art. in a frame can make the image more interesting. photographers can edit the final result of the image. good photographer who understands the science and theory behind photography will still be irreplaceable. enjoys doing so. To earn revenue, he takes lifestyle commercial images, which he also enjoys. As a photographer in Tuscany, Ballerini believes that viewers, tourists and locals alike, can appreciate his photographs, although they may notice different elements in the frame. Tourists may note the picturesque background the city provides, and those who live here might pay more attention to the image’s subject. His images provide context to the historical city of Florence that attracts visitors from all over the world. Ballerini says that good images can inspire people. Ballerini suggests not to wait for inspiration to take photographs, but make it happen. His advice to photographers is to really learn the craft and its many techniques and to not stay in their comfort one. “Shoot a lot! Pixels are free,” he says. Ballerini’s work can be found on simoneballerini.com. About Blub Blub is a Florentine artist born and raised in Florence. No one can be sure about their identity or sexuality, and Blub also remains underground , preferring to remain anonymous - “I feel more at ease and my instincts tell me to keep my identity anonymous for now.” Blub's Work Upon my first impression of Blub's work, I think it is an artistic breakthrough, especially in Florence. In a city with a worldwide fame for Renaissance artwork, classic art is highly worshipped, and people tend to pay attention to the historical value of these classic works. While people admire the greatness of Michelangelo and Botticelli over and over, they can hardly avoid that sometimes the "classic" becomes "cliche." But arts should never be fixed to rules or doctrine. Blub's work challenges this, removing the frames from these masterpieces, taking them off from the wall, putting them under water, and bringing them to life. To commission or Not to commission? Street Artist vs. Art System The greatest artists in the early ages such as Michelangelo, Raphael, and Botticelli were mostly commissioned to the Curia Romana or to the imperial family. Their works were usually required to show the power of God and the rightful faith of the monarchy. Therefore, with the purpose of showing off their wealth and power, these artworks needed to be created to amaze people, as these employers needed these artists to create works that would be appreciated by the public. Thinking again about street art, there is a big difference between street art and classical art: street artists create art with their own free-will. From here comes the question: why does a street artist choose to be one? There are many difficulties of being a street artist; first of all, you don’t usually get paid for making art. Your work might have fame but people may not even know your name. And perhaps the biggest disadvantage of being a street artist, is that your work is really likely to be destroyed or totally gone without leaving any pieces. So why to choose to work as a street artist? Is there any room for contemporary art to develop in Florence? Artwork with Rules vs. Freedom to Create If you pay a little more attention to the streets in Florence, maybe you will notice that an old Renaissance city like Florence is home to an unexpected amount of street art, even more so than other more modern cities. 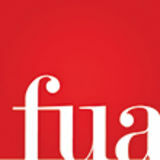 Is there any chance that there might be a competition between classic art and contemporary art happening in Florence? Or perhaps we could even say that while classic art takes dominance in museums and galleries, contemporary art has its own way to open up a new battlefield on the streets. “L’arte sa nuotare, meaning art knows how to swim, is about two ways one can live life, like eros and love or life and death. We can choose to be stuck with fear due to the crisis or we can choose to take it as an opportunity to overcome our limitations while being confidence in the future and in our potential. So, even though it seems like we are all underwater, it is time to learn how to swim!” Renaissance art in Florence is still strong and arguably overpowers modern-day art that is alive and contemporary. By using icons of the past with diving masks, Blub’s art acts as a bridge between the past and the contemporary art worlds. “There is no need to deny the past in order to look at the present, but [we should] at least acknowledge it,” Blub says. From Blub’s work you can see there are still talented artists who are trying to build up new creations from past work. By exhibiting their work directly on the streets of Florence, Blub not only affirms the value of classic art, but also brings up the importance of cherishing and facing the need to develop contemporary art. IS THERE ANY CHANCE THAT THERE MIGHT BE A COMPETITION BETWEEN CLASSIC ART AND CONTEMPORARY ART HAPPENING IN FLORENCE? WHAT MAKES ME HAPPIEST IS WHEN I SEE THANK YOU NOTES FROM SHOP OWNERS AFTER I STICK PRINTS UP IN FRONT OF THEIR SHOPS OR DOORWAYS. I ALSO LOVE WHEN I OVERHEAR PEOPLE SAY “BLUB MAKES PEOPLE SMILE”. SOMETIMES I SEE TAPE ON MY ART FROM PEOPLE TRYING TO PRESERVE IT OR FIX IT IF IT WAS TORN, IT IS NICE TO SEE STRANGERS TRYING TO ENSURE THE WORK REMAINS INTACT. What inspired Blub's work? “I like for people to have their own interpretation of what the scuba masks on these icons mean,” says Blub. After gaining a deeper understanding of Blub and their work, perhaps no matter what the purpose of a piece of art appears to be, there will always be a social function of every artwork that is shown to the public. Even though an artist does not give out an explanation of the work, people will still have different perspectives while looking at it. If this is the case, art is not some meaningless graffiti, rather it is always something that is practical for your daily life. It will never be something just vague and of general theory, but something that evokes emotion, acting as a medium and an object which will carry the message from the artist to the outside world, or even as something that inspires a whole new idea for someone else. Sometimes art can be a call to revolution, or an opportunity to change the world for the better. Think a little more next time when you walk past a piece of street art in Florence. Don’t think of them as graffiti that destroy the beauty of a historical city. There may be something much deeper behind it. For me, a big part of wellness and overall health in general relies heavily on being mentally healthy. When life gets a little crazy and time for myself is scarce, I try to remember that it is okay to take a minute to slow down and enjoy the little things life has to offer. With classes, homework, and errands piling up, I decided it was time for some me-time. Out I went with my camera in hand to capture my favorite landscapes, stroll down my favorite streets, and peoplewatch as the people of Florence, myself included, all spent the day enjoying this beautiful life. or this Wellness issue we look at diverse perspectives of art therapy: a Florentine taxi driverâ&#x20AC;&#x2122;s efforts to assist children afflicted by cancer, FUA faculty member Nicoletta Salomon discusses creative processes and methods, and current art therapy students share personal reflections on learning about the subject. a unique individual initiative: “Milano 25” is a Florentine cab operated by Caterina Bellandi who offers free travel to and from a pediatric hospital for young cancer patients. Bellandi, known in Florence as Zia Caterina (Auntie Caterina), has painted and decorated her taxi cab with stickers, posters, stuffed animals, and toys. She has been driving her taxi around Florence for 16 years, with the aim of bringing joy to the hearts of these children while they go through the recovery process. Bellandi dresses up in outrageous and flashy clothing, flaunting a green cloak topped with a straw hat and bright red lipstick. Bellandi knows her children are sick, but she knows they can and must be happy. every single day of one’s life. or conflicts. They are also ways to relax the mind and the body, to release stress, enhancing our health. peers, one that fosters the creation of a small community. The art therapy goal is not to produce aesthetically pleasing works of art. Nonetheless, the Visual Journal class experience can offer moments of pure joy in watching our lively sketchbooks open windows onto our vibrant intimate worlds. In doing so, we almost sense that we can enter tomorrow with the confidence and surprise, acceptance and strength, imagination and creativity we developed while crafting our Visual Journals. FLORENCE IS A CITY THAT ENCOURAGES WELLNESS IN EVERY SENSE. WALKING AROUND THE FLORENCE OFFERS NOT ONLY A UNIQUE PERSPECTIVE ON THE CITY, BUT ALSO A CHANCE TO WORK EXERCISE AS WELL AS MINDFULNESS INTO EVERYDAY LIFE. WALKER'S PARADISE A GUIDE TO WALKING AROUND THE CITY BY GREGG CASAZZA Confetti stars litter the ground making constellations out of cobblestones. Perhaps there was a parade the night before, or maybe a child gave way to his or her own whimsy, releasing the crepe paper into a gust of wind, watching as the multi-coloured flecks flew away. My fingertips smell of fresh clementine, bought at a local corner store from a man with a broom for a moustache. I peel the orange fruit with one hand and the chill from inside the fruit bursts into my palm, perfuming the air as I go for my morning stroll. Simply put, walking is the best way to get around and see Florence. Couples, young and old, walk around at night on dates, drinking in the moonlight and stopping for a few aperitivos along the way. Friends use side streets and the many winding roads of Florence as their meeting places to talk about everything from politics to everyday goings-on. The layout of Florence plays a major role in its walkability. Looking at a map of Florence you can see that most, if not all, of the sprawling city can be accessed in under 30 minutes by foot - from the center of the city you could get to Piazza della Libertà to the north, Arcetri to the south, Bellosguardo to the west, and past the Piazzale Michelangelo to the east. Walking is not only a means transportation and but also a social activity. The roads of Florence act as the city’s museums, town hall, auditorium, cafeteria, and so much more, and in order to truly experience Florence, you must walk a mile in its shoe, or its boot. Walking Tour for Beginners: 30 Minutes, Start at Ponte Vecchio Florence is not a difficult city to traverse by foot, with many of the roads dedicated to foot traffic. This itinerary is not intense, but still packs in as much of Florence’s beauty in a relatively short and easy stroll. Start on the Ponte Vecchio to take in the gorgeous glimmering jewelry, street performances, and the subtle wonders of Florence’s oldest bridge. If you continue on Via Calimala, you will reach the Piazza della Repubblica and its iconic merry-go-round and many elegant cafés. From there, head to the Duomo, in the heart of Florence. Take Via del Giglio until you reach Ponte alla Carraia. This is my favorite Florentine bridge, and the view of the Arno is unmatched. Now make your way over the bridge to get yourself a €1 gelato from Gelateria La Carraia - you have earned it. Walking Tour for Sightseers: 40 Minutes, Start at Palazzo Pitti There is an abundance of breathtaking views in Florence, so making a definitive sightseeing tour is nearly impossible. With that being said, this option offers some of my personal favorite spots. Start your tour during the golden hour, as it is the perfect time for taking photos. Believe me, you will thank me later. Begin at the ancient Medici palace of Palazzo Pitti and continue on to Via de’ Bardi to appreciate the river from the opposite side. Not only are there numerous quaint parks on this side, but it is also less touristy. From here, you will get better views of the Uffizi Gallery and the Ponte Vecchio. Enter the Giardino Bardini and walk to the Porta San Giorgio. Walk along the walls of Florence (Mura di Firenze) on Via di Belvedere and begin your ascent to the Piazzale Michelangelo. If you still have it in you, continue climbing to the Basilica di San Miniato al Monte. This hidden gem of a church boasts an unobstructed view of the city. If all goes well, you will be there right as the sun sets over the city of Florence. Walking Tour for Experts: 120 Minutes, Start at Duomo You are going to want to put on your most comfortable sneakers and get some water bottles for this tour, as it is not for the faint of heart. This long walk will remind you why Italians have such good heart health and low rates of obesity. Start right at the Duomo this time. You have likely seen this landmark every day in Florence, but without a doubt the best way to see it is from the bell tower (you can climb it). After 463 stairs, you will reach the top of this monument and get to see the city and the Duomo like never before. From here, head north to Fiesole. You could just as easily take a bus to this nearby town, but the walk is definitely worth it. Pass by the Botanical garden, and continue on until you reach Via Giuseppe Mantellini. You will find yourself at a small park with benches and the most heart-stopping view of Florence. The park is very quiet and, on a sunny day, you can see the Duomo, Santa Croce, and so much more. It is the perfect place to relax and rest after this strenuous walk. Walking through Florence, I notice the smells along the city streets. the streets or the smell of freshly-cut grass in the Boboli Gardens. to the beautiful musicality of the Italian language. directly coordinated with the art of Italian walking. if I was seeing it for the first time. the perspective we have cultivated as individuals, however ‘the beginner’s mind’ sees everything for the first time. Non-judging and patience are also key attitudes in mindful walking. were always reaching out for a heart or smelling flowers. is the mindful exercise of it. By Advanced Italian Language I Students Photos by Andrés Villeta and Bailey Surowiec This month’s Italian language contributions feature FUA students who share their thoughts on both the benefits as well as the drawbacks of mass-tourism and globalization upon Florence and its merchants. FIRENZE NELL'ERA DELLA GLOBALIZZAZIONE By Alessandra Montesanto Secondo i proprietari del negozio di pelletteria Adam's nel centro di Firenze, c'erano molte più piccole attività indipendenti anni fa rispetto a oggi. Le piccole imprese avevano più successo, perché c'era meno concorrenza. Al giorno d'oggi le aziende indipendenti devono lottare di più con la crescente presenza di società più grandi che hanno monopolizzato sempre più spazi nel corso del tempo. Mentre la maggioranza delle persone pensa che questo cambiamento sia negativo, una cosa positiva è che migliora l'economia nel suo complesso. Inoltre, il passaggio da imprese di dimensioni minori a più grandi è una delle principali cause dell'aumento della globalizzazione e del turismo di massa a Firenze nel corso degli anni. Il turismo di massa è decisamente aumentato molto rispetto al passato. Ciò è probabilmente dovuto all'aumento delle imprese più grandi e al lento declino del successo dei piccoli imprenditori indipendenti. La principale differenza tra passato e presente secondo i proprietari di piccole imprese come Adam's Leather qui a Firenze, è l'aumento del turismo di massa in combinazione con la globalizzazione e la monopolizzazione delle imprese. Mentre questo aumento e cambiamento nel tempo ha avuto un effetto complessivamente positivo sull'economia di Firenze, questo ha anche portato alla difficoltà per gli imprenditori più piccoli, indipendenti, di avere lo stesso livello di successo oggi di anni fa. tiche degli ultimi anni mostrano che il numero di turisti è aumentato da sette milioni a nove milioni in circa quattro anni. La cultura di Firenze è stata costretta ad adeguarsi al turismo che è stato portato dalla globalizzazione. I residenti di Firenze hanno notato le strade più affollate, e i negozi hanno sempre più clienti nelle aree turistiche comuni della città. Ho colto l’opportunità per parlare con la gente del posto a Firenze, per capire come pensano che la globalizzazione e il turismo abbiano cambiato la città rispetto a quando erano giovani. Ho camminato davanti a una piccola cartoleria vicino al Duomo, dove ho visto una donna anziana dietro il bancone. L’aspetto dell’esterno del negozio e del suo interno è apparso come se fosse stato lì da un bel pò di tempo, quindi ho pensato che lì ci sarebbe stata un’ottima persona a cui chiedere la sua opinione. Ho immaginato che avesse circa settant’anni, e lei mi ha detto di aver lavorato in quel negozio per quasi quarant’anni. Questa donna ha detto che l’aumento del turismo a Firenze è evidentemente un risultato della globalizzazione, e può essere subito visto dal maggiore affollamento nella città. Ma ha spiegato che il turismo di massa si può vedere anche andando a Londra o nelle Americhe, si trova in tutto il mondo. Lei quindi crede che la globalizzazione non abbia avuto un impatto su Firenze maggiore che nelle altre città. Complessivamente, crede che il turismo sia importante perché porta molti soldi all’economia. Soprattutto per lei, ha detto che il turismo di massa serve per mantenere aperto il suo negozio; ha bisogno dei clienti. città, perché ha cambiato la città che conoscevano quando erano più giovani. Penso che in ogni caso, la globalizzazione e il turismo di massa siano sia buoni che cattivi, ma è vero che l’impatto della globalizzazione si è sentito in tutto il mondo, non solo Firenze. are not as aware of the cosmos now as they used to be. The monuments that ancient people left behind provide proof of their interest in, and knowledge of, astronomy. in observatories all over the globe. about the Observatoryâ&#x20AC;&#x2122;s latest discoveries and progress. breathtaking views of Florence. Awareness of astronomy and space will benefit society and dayThe Amici telescope emerges as a highlight at the observatory. the long-run, this has a great effect on our wellbeing as mankind. "STUDYING SPACE BENEFITS OUR SOCIETY BY CONTRIBUTING SIGNIFICANTLY TO TECHNOLOGY, ECONOMY, EVERYDAY LIFE, ENVIRONMENT AND, ABOVE ALL, OUR CURIOSITY ABOUT THE UNIVERSE." "ASTRONOMICAL KNOWLEDGE CONTRIBUTES TO THE STUDY OF THE ENVIRONMENT AND HOW TO PROLONG THE SURVIVAL OF LIFE ON EARTH"
nal basin, all destroyed along with the majority of the furniture. centre of the conservation of the Flora. harsh wind and rain. Nature has for sure a strong power. attention were the Mimosa plant, full of big yellow cotton-like flowers, very noticible and the orange tree with huge orange fruits. Flowers were everywhere, in their most gorgeous form. almost seems impossible to leave, to go back into the urban world. popular place to hang out with friends or family, like a bar. in the middle of the Garden. AS SOON AS YOU WALK AROUND ADMIRING ALL THE COLOURS AND MUSIC THAT THE PLANTS EMIT, IT ALMOST SEEMS IMPOSSIBLE TO LEAVE. the themes of love, loneliness, and what it means to discover oneâ&#x20AC;&#x2122;s self and others in a different country that could be here, there, anywhere. same way. When I met her, time slowed down and the chaotic pace of this foreign place came to a standstill. Our worlds became one and the unfamiliarity of the city and its people became a much more settling feeling. We forgot about our lives at home and enjoyed each other in the present moment. We fell in love in a foreign place. me feel guilty. Did I have an affair? Maybe I did. The loneliness is setting in again; the isolation and the quiet. I want to feel what I felt with John once more, even though I do not think I will ever see him again, and I am not exactly sure what it was that I felt. John made me realize just how unhappy I am in my life. Did I have an affair? I think I did. There was no sweeping romance. There were no Cinderella moments. Maybe I was a damsel in distress, but maybe I wasn’t at the same time. We are not running off into the sunset together. I am not writing John a note telling him I am leaving him to follow my heart. There is no happily ever after. There is none of that. That is not what happened. I felt understood. I felt that words often were not even necessary to communicate. I felt that the silence with us was never empty. So, I am sitting in the taxi and I am really not sure what to think. I think I am going to leave all of these emotions here and let it just be a memory for now. ine what it would be like to explore it from above, without being confined to the top floor of a hotel room behind thick glass. Maybe in another life I was a bird who could do such things and didn’t have to deal with the feeling of being trapped. My husband’s snoring breaks through my thoughts, and I look over at him sprawled on the bed. It didn’t used to be like this, did it? I turn back to the view of the city, trying to escape by getting lost in the movements and colors of the ant-like things below. I’m not satisfied. I met a man today in the hotel lounge, still dressed absurdly from whatever project he must have been working on. It made me laugh, so I bought him a drink. It was the first time I had felt the need to smile on this journey. My husband left on a job, but I still can’t sleep despite the absence of his snoring. I got a tape to help with “finding your soul,” but I’m determined mine has decided that it’s never coming out of hiding. David, that’s his name, slipped a note underneath my door. or why they were acting the way that they were. A tropical escape, an island getaway, or a heatwave in the city; we are dreaming of warm, sunny weather. As the season turns, so will your wardrobe, and refreshing it with some springtime vintage pieces is a great way to renew your look for the warmer weather ahead of us. This monthâ&#x20AC;&#x2122;s look is inspired by a temperate turn in the season, as we think of vacation just beyond the horizon: a pair of tailor-made shorts by the Congolese designer Gisfab, paired with vintage wooden wedges, a simple white shirt, a handmade straw hat by FUA student Gretchen Shephard, and a leather tote bag by FUA student Rutendo Karikoga. Piecing together an easy, wrinkle-resistant wardrobe with lightweight linen dresses will keep you cool, neat, and well put-together. Pair this outfit with bright sunglasses or stone-encrusted sandals for a stylish and on-trend twist to your spring/summer look. Adding a multicolored tote bag brings a unique quality to the look, and is the perfect size to hold a copy of Vogue, a bathing suit, and a pair of train tickets to your first summer weekend destination. "PIECING TOGETHER AN EASY, WRINKLE-RESISTANT WARDROBE WITH LIGHTWEIGHT LINEN DRESSES WILL KEEP YOU COOL, NEAT, AND WELL PUT-TOGETHER. " "AS THE SEASON TURNS, SO WILL YOUR WARDROBE"
with vintage patterns as well as Gucci Garden-specific pieces. has given birth to something more than just antiquitous art and artisan shops. The new generation of youth is responsible for bringing world music from a number of platforms into the hands of the community. With the help of information technology, the creation of music collectives is transforming Florence's music scene into something it didn't think it could be before. One just has to look a bit harder to find it under all the marble and bronze doors. There has been a substantial amount of changes this city has seen in regards to music. Collectives and movements have brought global access to music into this place. These collectives and movements have continued to grow as Italy has become more globalized, maximising its potential to withhold an international crowd that is ever growing. Florence's strong community of expats encourages an international array of things to choose from, and thanks to collectives such as Musicus Constenstus, Autentica and Nobody's Perfect, and Tropical Animals, we can see that there is more to Florence than just its history. It is also a place that wants to look ahead while still maintaining its roots. It is true that there hasn't been much on the local music front since the mid 90's, but that doesn't mean that there still isn't anything going on. "We speak always of the 80's, because it was in this moment that music was very important in Florence," says Antonio Aiazzi of Litfiba, an Italian rock-band formed in Florence in the early 1980â&#x20AC;&#x2122;s. And while this may be true, it's also possible that the real gold is in the independent movements being born behind closed doors. It is these movements that are trying to grow away from the identity so strongly held onto by the generations before. However, "when we see, culturally, a change of something specifically with young people, you can really see something happening." This is true as a response to the ever growing expat community in Florence. Nowadays we see a different Florence, one that is now known for its multi-ethnic community, a product of the globalized world. Many producers and DJs leave Florence only to return and bring with them what they've acquired abroad regarding sounds, tastes, rhythms. We see it happening everywhere in the world, and it's no different in this place. To any tourist it may seem as though things have and will always remain the same, but it is not true if one just looks a bit harder to find what they've been missing. ally, a small group of members also travel the United States with the radio. For its wider audience, the station produces series of shows and concerts in Tuscany. One of the main sources of revenue for the radio, these events bring together the entire European community, explains Tranquillo. Sometimes held in Cascine Park or in Piazza Santa Croce, the events held are both intended to be unifying and entertaining. Tranquillo says the station is involved in promoting a hospitable environment for all within Florence’s international community and that Controradio promotes inclusivity. RADIO HAS THE POWER TO TALK TO PEOPLE. Florence is a city which comes with its own soundtrack at times, and this is all because of the impressive and talented street performers. In this series photographer, Andrés Villeta, features two accomplished performers: Chris Grosselfinger and his cello, and Roxana Visinescu and her violin. Both performers travelled from other countries to perform in Florence, and have been classically trained in music. Grosselfinger has a degree in music composition, and Visinescu is pursuing her master’s degree in music as well. Chris Grosselfinger, a traveling musician, holds his cello over one shoulder, an impressive feat for such a cumbersome instrument. Roxana Visinescu playing the violin, her fingers rest on the strings of the expressive instrument. Roxana Visinescu pictured with her violin. Originally from Romania, she is completing her masterâ&#x20AC;&#x2122;s degree in music in Florence. A close up of Visinescu, she looks down as she plays. Chris Grosselfinger, a musician who has lived in Austria, Germany, Switzerland, Portugal, Sienna, Pisa and Lucca, all while playing his cello. Looking to the side, Grosselfinger rests an arm on his cello while elegantly dressed in a suit and tie. his time of year brings warmer weather and with it, exam season. This editionâ&#x20AC;&#x2122;s travel section keeps things local, as FUA Travel Writing students journey to different libraries throughout Florence to discover the array of study spaces that the city has to offer. paying homage to the man who started it all. of locals and tourists, all in search of a quiet resting spot. she will point you towards the reading room. enriching space meant for lifelong learning. trusted community space. W hile sitting among people from all walks of life, you will feel humbled by just how globalized the city truly is. “Biblioteca Nazionale Centrale Di Firenze.” BNCF - La Biblioteca - Informazioni Generali - Notizie Storiche, www.bncf.firenze.sbn.it/pagina.php?id=50&rigamenu=Notizie%2Bstoriche. “The National Central Library of Florence.” Florence Inferno, 8 Mar. 2015, www.florenceinferno.com/national-central-library/. founded by Giovanni Marinelli. The precious collection of texts and maps, named the Fondo Marinelli, was originally set up by Giovanni and his son Olinto. The collection initially belonged to the National Library in Florence, but was later given a permanent deposit to the geography branch library (Universita Degli Studi Firenze). he points us in the direction towards the library. space within the small dimensions of the room. coming in just for a few moments. most gorgeous views from the massive windows. It is a sunny day, the first in a while, and the sunlight drifting through the library illuminates the spines of the books. The library is filled with all sorts of colors and fabrics, making it an instantly inviting environment. No matter where you are from, what school you attend, or what subject you are studying, everyone has a mutual respect for each other’s ability to work in a peaceful environment. As study abroad students sometimes it is easy to feel as if you do not belong in certain places because you are not necessarily a “local,” but the Geografia library is a space that welcomes all and encourages quiet and productive studying. I placed my bag inside and fumbled with the lock. more of an attraction than the laughter. What mesmerizes us to the point of being speechless is the view. We cannot get enough of it. We occasionally take a study break to look out into the Arno River, with the sun sparkling off of it. There is a balcony attached to the library that seems like the perfect study location. We ask the librarian if we can sit there and enjoy the fresh air, but she explains that we are not allowed to, without a thorough explanation. There are hoards of people out today, crowding the bridges with selfie sticks and iPhones up against the blue sky. Time seems to move at a comfortable pace in the British Institute of Florence Library. It is wonderfully inviting, it is beautiful, and it is a place where anyone can feel at peace. It is almost easy to forget we are here to study, as it is such a pleasure to even be in this spectacular library. over me almost as if I had been there before even though I hadn’t. I picked a seat at the end of a table next to a window, spreading out my midterm study guides and notes along with my journal ready to get to work. I could feel the tranquility of being alone with my thoughts, the respect for others doing their work, and the intense focus in the room that motivated me as a student. “È occupato questo posto?” I looked up to see a girl, probably around my age looking at me with inquisitive eyes. I thought hard about the question she had just asked, testing my Italian memory. “No, è tuo,” I replied quietly in my best Italian accent. She smiled and said “Grazie,” taking a seat next to me. She too took out her midterm study guides and journal ready to get work. In your experience, how important is the cosmetics industry in influencing our ideas of wellness? AD: The cosmetics industry has always been a major proponent of shaping how consumers approach wellness by driving major trends in skincare, hair care, and makeup. What does wellness mean to you? AD: Working amidst the hectic buzz of NYC, it is super important to try to find time to recharge and recenter to keep stress at bay. This isn’t always easy. Being a native New Yorker, I seem to think, speak, and do everything super quickly, and it can be hard to switch off from that “go-go-go,” mindset. My experience living in Florence actually taught me that an important aspect of self care is the fine art of slowing down and living more mindfully. How do you incorporate wellness into your own life? Do you practice self-care? If so, what do you do? AD: At M.A.C, I am in a role that focuses on designing and producing visual assets that enhance the way our stores are merchandised in North America. Our company rolls out multiple product launches a year, and, as a result, my colleagues and I often face tight deadlines and a very fast paced work environment. Sometimes during the work week, I find it super important to step away from my to-do list to clear my head. I try to make a point to do something as simple as stepping away from my desk for a moment and taking a walk around the Soho neighborhood where I work to appreciate the surroundings. Ironically, even though I work in cosmetics, I would say I’m pretty low maintenance when it comes to incorporating cosmetics into my wellness routine, although it definitely is nice to indulge in some new product or a treatment every now and then! Do you think makeup and cosmetics contribute to people's feelings of wellness? AD: I definitely think that it can. M.A.C as a company was built upon the credo of makeup that is inclusive towards “all ages, all races, all genders,” and I love that I work for a brand that is not necessarily fixated on promoting a narrow-minded view of what beauty should mean. It is inspiring to see the cool, editorial looks that our senior artists put on social media because they serve as a reminder that makeup can both make you feel like the best version of yourself, as well as be an extension of your creative individuality! Where do you see the future of the cosmetics industry going, and how is wellness a part of that future? AD: E-commerce technology has had such a profound impact upon the beauty industry in recent years, along with the rise of social media influencers really driving the trends of what is “in.” I don’t see that changing in years to come. Now, it is easier than ever to both get ideas and makeup looks online, with an endless variety of brands and products to choose from. It is really interesting to see how M.A.C, a company that has had a long standing reputation within the industry, is reacting to this change in the way that it approaches E-commerce, social media, and even the way our stores have been laid out to meet the changing demands of consumer preferences.